The Supreme Court of India has upheld an order issued by the Haryana Electricity Regulatory Commission (HERC) that had allowed Japanese firm Toshiba to directly supply “green power” to over 1,000 units in the city, along the Delhi Mumbai Industrial Corridor (DMIC), via a ‘shared’ dedicated transmission line. Toshiba’s counsel Vishal Gupta told Financial Express that his client was “disappointed” that despite taking at face value the promises made at the “highest level” in India for ease of doing business and making investments to bring the latest technology and new concepts like ‘eco city’ to India, it had to face such delays. He said even 12 years after the Electricity Act came into effect; the ‘monopolistic’ attitude of the state distribution utilities has not changed. The saga began in April, 2010, when the Toshiba-led consortium had entered into a memorandum of understanding with DMIC Development Corporation (DMICDC, which is facilitating the implementation of the DMIC project) and Haryana State Industrial & Infrastructure Development Corporation to implement the Manesar-Bawal Ecocity project in Haryana including the gas-based power plant with an initial capacity of 15-20 MW. The consortium intended to expand the capacity later. The consortium aimed to supply high-quality and stable green power to medium and large industrial units since over 1,000 industrial units in Manesar were facing “acute problems of stable power”. Gail India was also approached by the consortium for domestic natural gas allocation. The region has 200 MW of power capacity right now, but demand is expected to be over 400MW in another five years. Toshiba’s plan was challenged by DHBVNL. The consortium had contended that it should not be liable to pay cross-subsidy surcharge (CSS) and additional surcharge as stated by the regulator. This, it contended, was because for such direct power supply to its consumers, it was not seeking open access of DHBVNL and Haryana Vidyut Prasaran Nigam, which operates the State Load Dispatch Centre in Haryana. HERC ruled partly in favor of the consortium, holding that it can supply directly to a few consumers through a ‘shared’ dedicated transmission line for which it does not require any distribution license subject to certain conditions. Consortium was liable to pay CSS to the distribution licensees and additional surcharge as applicable under the regulations framed by HERC. The HERC order was challenged before the Appellate Tribunal by the Dakshin Haryana Bijli Vitaran Nigam (DHBVNL) and Haryana Vidyut Prasaran Nigam. They had argued that Toshiba as a generating company cannot supply electricity to industrial users directly without a valid distribution license. These entities had contended that the Japanese firm’s proposal was in violation of the Electricity Act, 2003. Aptel upheld the HERC order. Disregarding Toshiba’s attempts for an out-of-Court settlement, DHBVNL then approached the Supreme Court, which on July 20 refused to interfere with the HERC order. 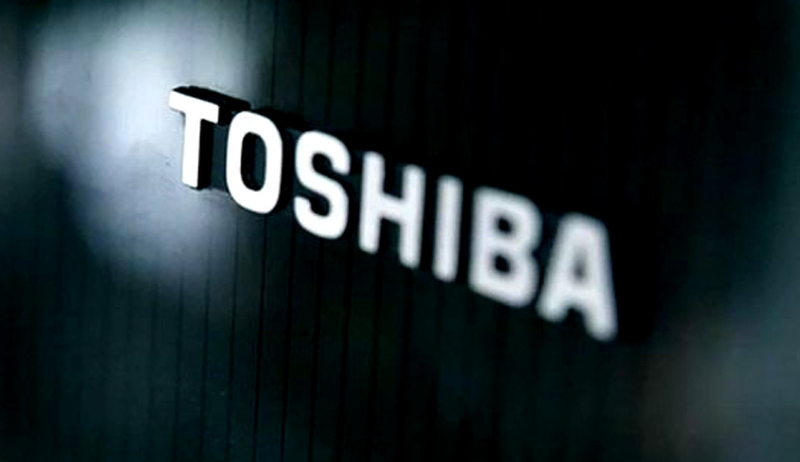 Toshiba has filed a review petition before HERC against payment of additional surcharge.